Posted: September 8, 2016 in F1, Who,What,Where & When...? 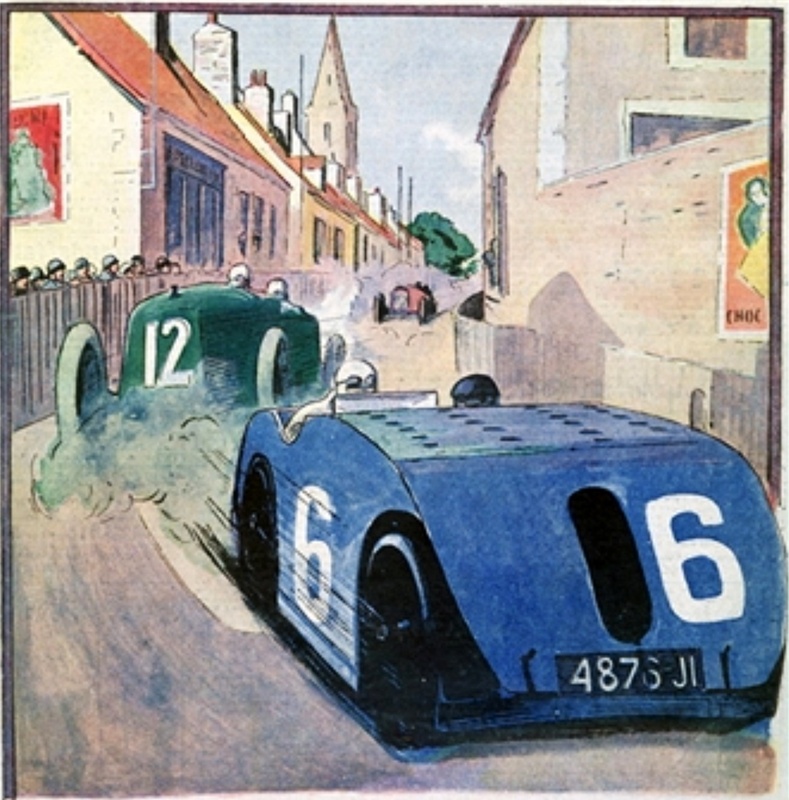 The Le Petit Journal illustration depicts the 3rd placed Bugatti T32 ‘Tank’ of Ernest Friderich ahead of Segrave’s winning 2 litre, 4 cylinder Sunbeam. The course was 22.8Km, the total distance of 799Km took Segrave 6:35.19, Albert Divo 2nd in another Sunbeam is portrayed in the distance. 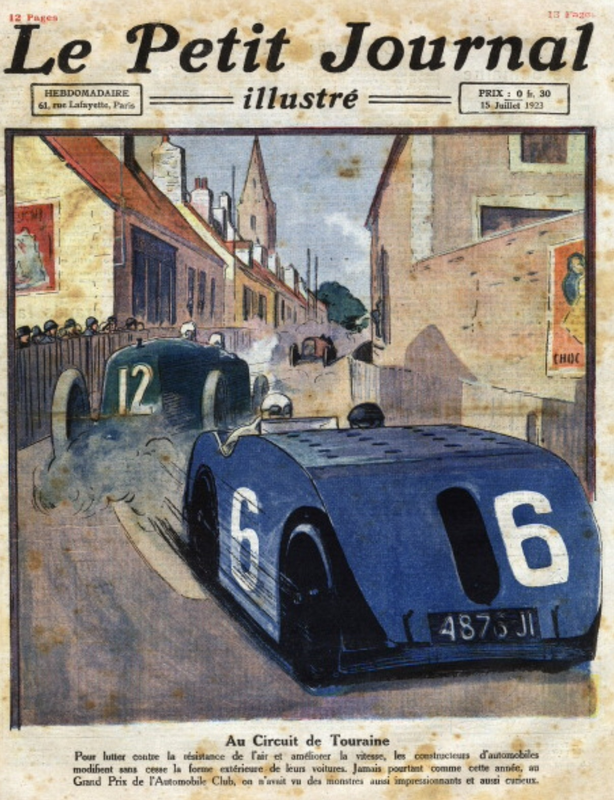 Interesting that in 1923 Bugatti entered the T32, one of the ugliest Grand Prix cars, and then a year later at Lyons in 1924 they debuted the T35, one of the most beautiful Grand Prix cars of all-time.